Another day on Champs-Élysées, another restaurant. 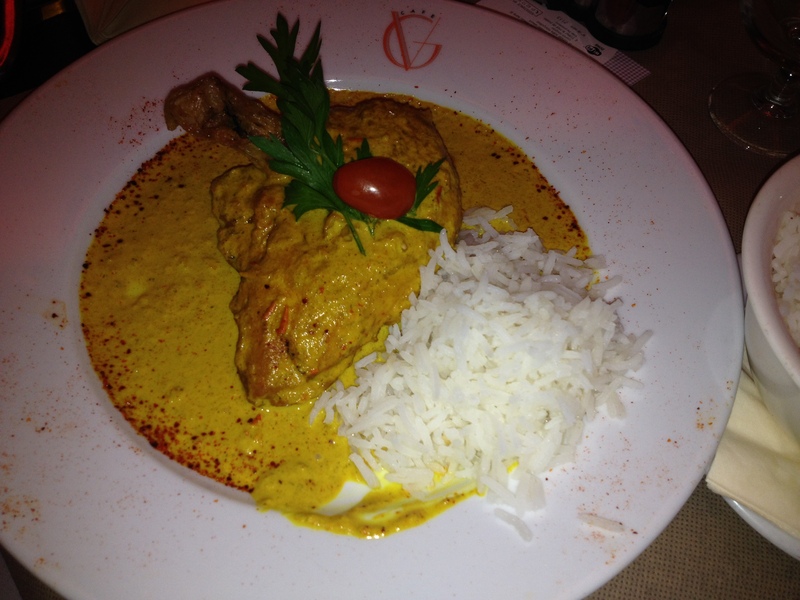 This post takes us to George V Café on Champs-Élysées where we had a pretty decent meal. The plan had been to scour the street and find a nice place to eat but we chose this restaurant almost immediately after we walked out of the metro! I cannot say we regretted that decision though. I ordered a salad and my friends got chicken and rice. There was a metaphorical raising of eyebrows after I ordered my meal but that feeling abated after I got my order. The portion was large! 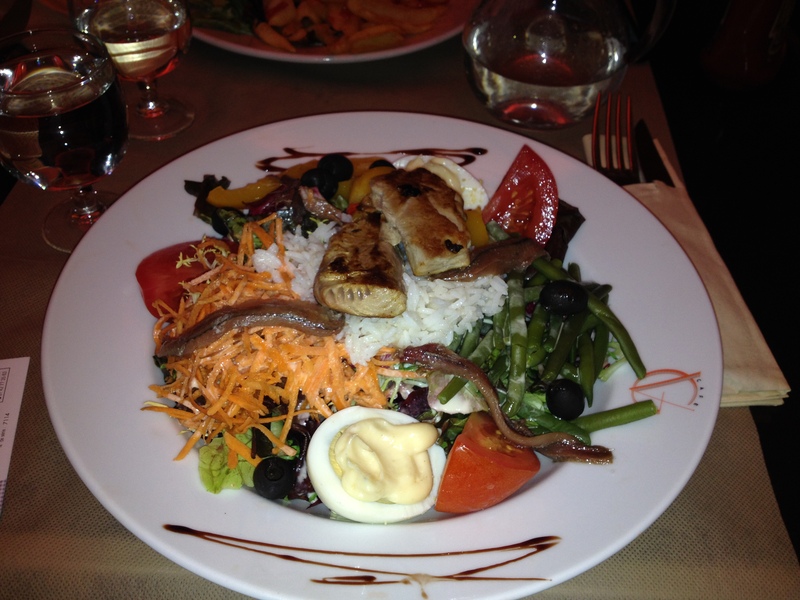 I could however only stomach one of the anchovies as it was VERY salty. Lovely, large portioned, filling salad! Finally, I had dessert. It’s only natural that one would feel justified to have desert after a healthy main (Chubby Dija here: Rationalize much? 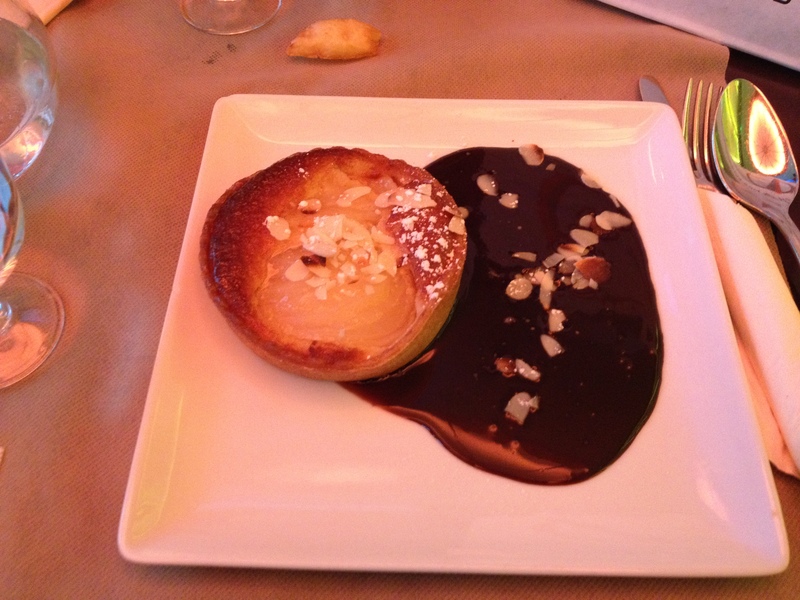 :/) It was a peach and almond tartlet with a chocolate sauce. I knew that ordering dessert would mean that I would have other prying hands involved but they were courteous enough not to eat most of it. I enjoyed this tartlet. The poached peach was a factor in that enjoyment. Dessert: Peach and almond tartlet. George V Café is located at 120 Avenue des Champs-Élysées, 75008 Paris, France and its location might allow you to get to get a view of the Arc de Triomphe if you decide to dine al fresco! We also had access to free wifi. There’s also a toilet too which may come in very handy! After George V Café we walked down the road to McDonald’s for a night cap and boy were we glad! 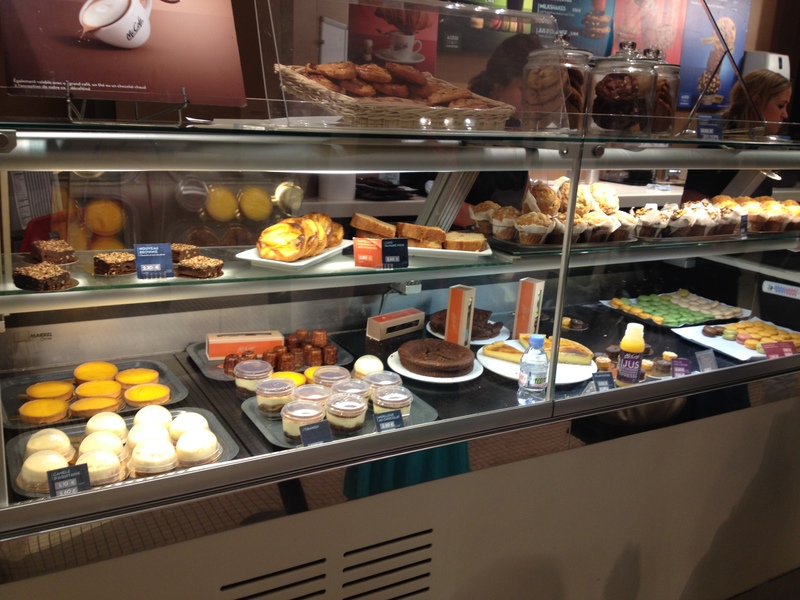 The McCafé had so many nice pastries to choose from! Good thing we had eaten before we went there otherwise only God knows what would have happened! 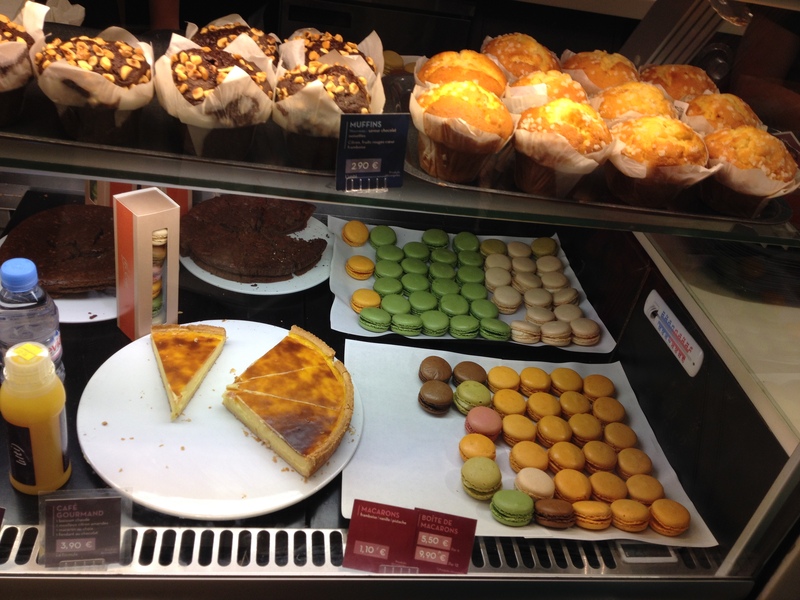 Macarons, french cake, muffins and more! There’s an obvious difference between these chewy macarons and these! I ordered the french cake which was basically like a custard tart but Anya loved it! She ordered it on another McCafé visit. Good day, good food, good company. Sometimes, that’s all we need! Dis one na Frenchie McD o! Haha! 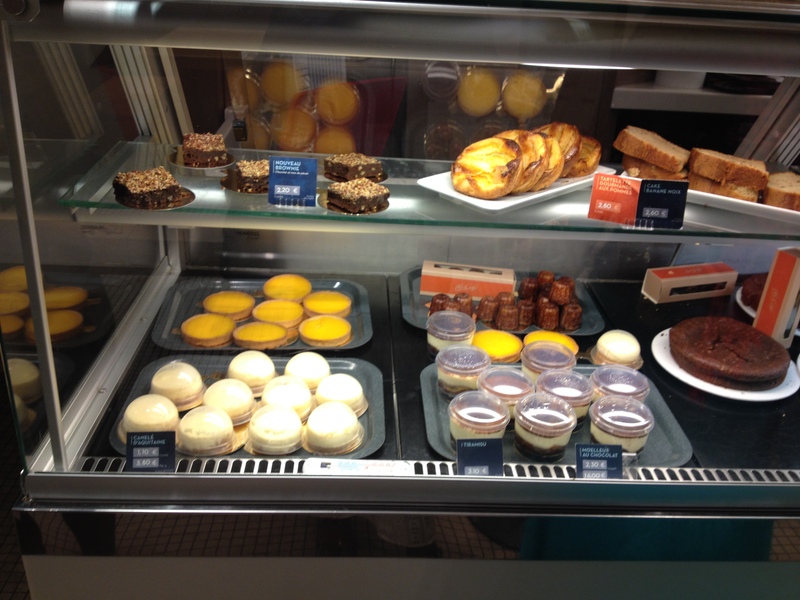 They have McCafé here too but the selection is not this wide.